I wanted to share this video. John Shook is a Senior Advisor with the Lean Enterprise Institute and he is the keynote speaker at the conference hosted by Industry Week at one of their Best Plants Conference in Nashville, Tennessee on April 28 2009. 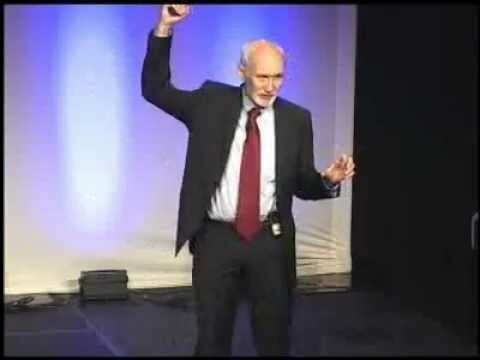 During this keynote, John Shook demonstrates how to spread a Lean culture throughout an organization, and explains why a leader is directly responsible for the success or failure of a Lean implementation. The information in this video is timeless and still relevant today’s business world. It is a great guide to the management team of any organization that is contemplating implementing lean principles. I found this video both informative and entertaining. John Shook has been one of the innovative thinkers in the development of lean principles. Inquiries received outside of working hours or on the weekend and holidays will be addressed the next business day. Does Lean Six Sigma Deliver Results? Is Your Business Satisfying Customer Needs? What is a Lean Process? 3 Critical Questions about Lean Principles! Radical Transformation is a training and development company located in the beautiful Pacific Northwest in Portland, Oregon. Radical Transformation is the parent company and owner of the Lean Mfg. Online website. We specialize in the training and development of people to understand and implement Lean Transformation in a manufacturing environment.